Universology is not just a science of synthesis of all achievements. 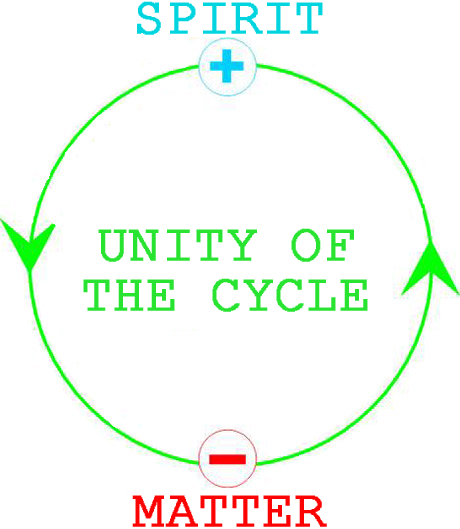 Unlike other sciences, Universology describes not only the accord of the World Order, but also the harmony of the Universal Unity sounding in agreement in every particle of being! This acquaintance with the basic approaches to subject areas and the methodology of Universology is like the first touch to the unknown ... However, this primary view of the new page of the scientific paradigm of the new era should not leave the notion that the schemes cited here elucidate all the amazing and mysterious World of UNIVERSOLOGY. We invite you to an active acquaintance with this world of new exploration, research and discovery of the vast expanses of a new world view and the formation of a new image of the future! May the difficulties that accompany the paths of the pioneers not frighten you, and the criticism of the orthodox not frighten those going into the new world of the new worldview! 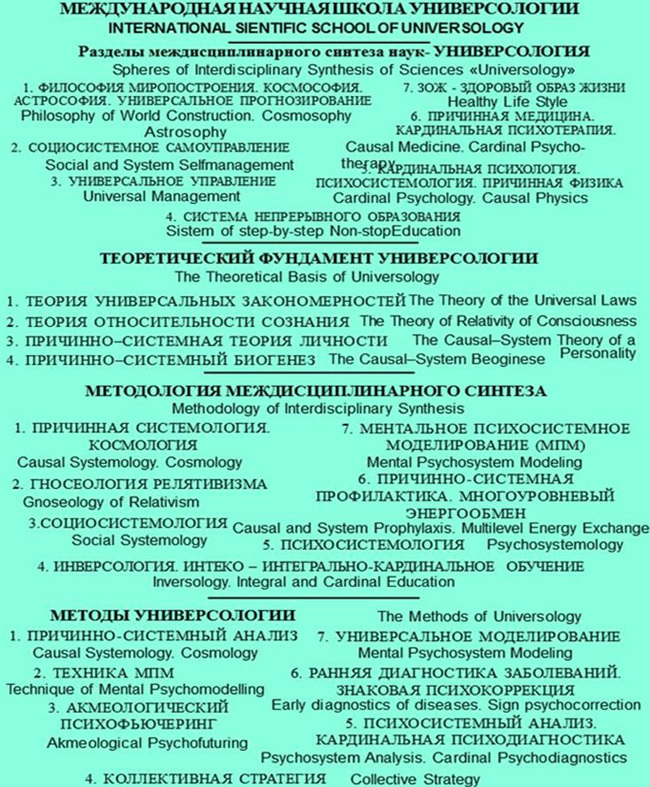 The ISSU (International Scientific School of Universology) presents a new branch of science – UNIVERSOLOGY, which is based on the theory of the universal laws as the theory of causal genesis of systems in the Universe. The branches of Universology are developed by interdisciplinary investigations: causal systemology, cosmosophy, gnoseology of relativism, cardinal psychotherapy, integral and cardinal education, social systemology, etc. This is based on the theories of universal laws, relativity of consciousness, causal development of personality. These new theories propose the mechanisms of action and manifestation of the Universal Laws in all spheres of human activity for everyday life. The causal and system approach based on interdisciplinary studies allows to develop new fields of philosophy, psychology, management, sociology, education, and medical science: gnoseology of relativism, cardinal psychology, social systemology, integral and cardinal education, universal management, system prophylaxis and early diagnostics of diseases. These new branches answer the eternal questions: What is primary and what is secondary (consciousness or matter)? ; What is consciousness? Is the world knowable? What is happiness and the sense of life? What one should do to achieve the health of both man and society? How to manage in the most efficient way? What is “success”? The theory of the universal laws enables to create the technology of complete causal diagnostics and prognostication of condition of multilevel system relations. 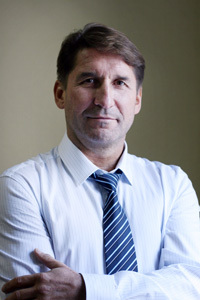 It also allows to scientifically substantiate the direction of the most efficient development of a system by applying three universal models: No 1 – the model of attraction or the hierarchy of purposes; No 2 – the model of staged formation of system relations; No 3 – the model of matrix diagnostics of a system relations. The previously practiced methods didn’t allow compete express-analysis of multilevel and multifactor system relations. The above mentioned methods of integral modeling of system relations allows to realize complete, step-by-step formation of the cycle of system development (e.g. manufacturing process, education, sanitation,, etc.) according to the most efficient way. As the result of the conducted investigations, the methods of non-experimental test has been worked out, which allows to verify and to examine projects. All the ancient mysteries said about the essence of Creation. However, in order to protect immature minds from temptation, the knowledge was ciphered in the parables, signs, and symbols which were used, for instance, by Christ. But all this mysterious knowledge always had the key – the universal code of sings as geometrical and mathematical systems. And now humanity is ready to adopt and realize the truth. The main question of philosophy: “What is primary and what is secondary?” easily finds its answer in the world culture. Nothing can exist without something. 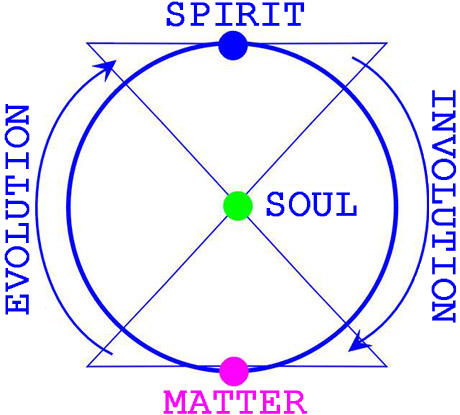 Two beginnings – consciousness (thought) and matter should coexist relatively simultaneously. 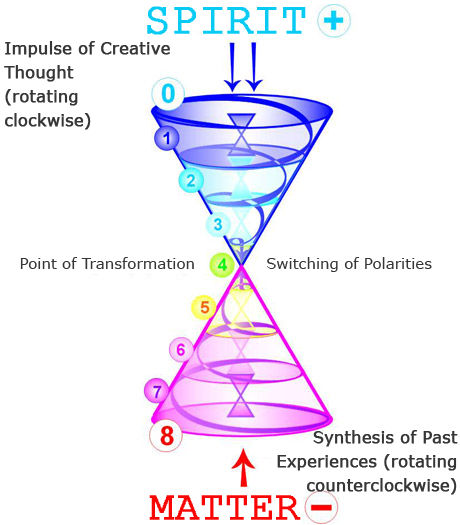 It is connected with the fact that consciousness appears as the result of interaction in the process of reflection. But without matter as the space of interaction the appearance of reflection itself is impossible. So is the consciousness. This very logic conclusion demonstrates the eternity and endlessness of the Universe. It also illustrates the limit of our understanding of the world which originates from the finite categories. Thus, everything came back to the fundamental principles of being which manifest themselves as the definite algorithm of formation of life systems and the dynamics of their development. It is pointed out in the world culture as the repeating regularities of the universal character. The universal regularities are at the same time repeated in the endlessness of the Universe. They form all the variety of individual forms and at the same time the universality of systems structure and their development dynamics lying in the basis of the possibility of interaction itself. LIFE IS THE SOURCE OF ETERNAL MOVEMENT. The source of energy was always known to the mankind. It is as dualism of analytic differentiating phase for cognition of the universal regularities of the surrounding world and synthetic, integrating phase which allows to create the unity of disintegrated particles into more perfect form. And a man has always been on one of these two phases of full cycle of his development. The first phase is characterized by separation, destruction of old and conservative forms of unity. The second phase is characterized by integration and unification of the disintegrated particles. This is, for example, collective strategy, brain storm, unity of nations or in physics it is thermonuclear synthesis. The cyclic development of all forms of life takes place in such a way. And the process is relatively simultaneous: when one life system is born, another is coming through its transformation to achieve more perfection and new possibilities for manifestation in the surrounding world. So is the way of a man and a star. UNIVERSOLOGY is a new science about causal and system world construction and practical application of universal regularities knowledge in all spheres of human activities and in everyday practice. Universology as a new science about causal construction of Being lies in the basis of world cognition performing the universal approach to investigation of conditions of system and interdependent development and also in the systems management in the direction of their most efficient development and unification of interaction factors. 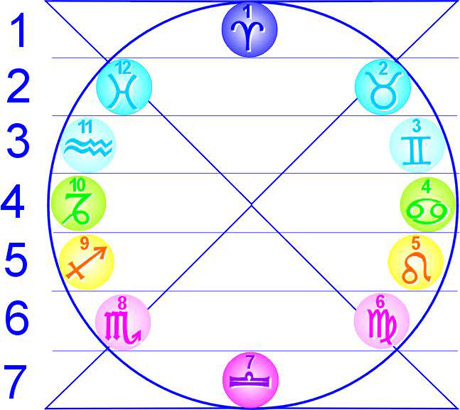 Universology has the specific method – the universal analysis of causal development of system. The given method is based on the theory of the universal laws demonstrating causality of universality, variety and individuality as the factor of manifestation of general and particular, of the whole and individual. The Universal Laws Theory grounds the nature of multilevel repetition of structure of cause-and-effect relations in space of life systems and their step-by-step involution – evolution forming in time of the full development system cycle analysis disclosing the universal bases of causality of all phenomena and their multilevel and system character. The CAUSATIVE SYSTEMOLOGY, is the section of general system theory and system. The investigation method of causative systemology is the causal and system analysis including the universal modelling. CAUSAL AND SYSTEM ANALYSES allows to investigate the causality of multilevel organization of surrounding world. Systemity characterizes the movement of matter and its development on the basis of multilevel repetition of regularities of structure organisation of systems with different levels and their involution - evolution cyclicity of step-by-step forming. The universal modelling is the method based on the Universal Regularities Theory as the development criteria allowing to realise the purpose oriented at forming of investigation of plonomena essence from the view point of their causality and systemity which doesn’t demand the empirical verification. The universal modelling is the method of constructing of representative scheme of system relations reflecting the universal regularities of system structure and cyclisity of its step-by-step forming. In the basis of the universal modelling underlie 3 integral models which can be used (in their modifications) in all spheres of scientific and practical activity both of society and a man. No 1 – the model of attraction or the hierarchy of purposes. No 2 - the model of staged formation of system relations. No 3 - the model of matrix prognostication of the current conditions of a system. On the basis of the Theory of Universal Laws a new field of philosophy is founded – the Gnoseology of Relativism. THE GNOSEOLOGY OF RELATIVISM is the branch of philosophy describing the process of cognition of relativity of absolute world structure and the absolute character of relativity of all manifestations of Being. THE THEORY OF CONSCIOUSNESS RELATIVITY underlies in the Gnoseology of relativism. The Theory of Consciousness Relativity describes the simultaneity of multilevel development of subject-object system relations in space and in time in relation to the subject cognising and creating a life system in accordance with the experience of reflecting and synthesising ability. Universology uses the interdisciplinary approach, synthesising and integrating the achievements of different branches of science and human activities into harmonious doctrine about causal and system development of Being. COSMOSOPHY is a part of Universology. Cosmosophy is a science studying causal and system construction of the Universe on the basis of the synthesis of ancient views and present day achievements of science. Cosmosophy includes Cosmology and Astrosophy. 1.CARDINAL PSYCHOLOGY, psychosystemology, causative and system theory of personality and the methods of investigation – psychosystem analysis, cardinal psychodiagnostics, achmeological psychofuturing. The section of investigation of system subject-object interrelations - the section of psychosystem relations - is introduced into Cardinal Psychology. PSYCHOSYSTEM ANALYSIS is the method of investigation of causal character of relative simultaneity of multilevel repetition of regularities of psychosystem subject-object relations of structure of life space organisation and analytical and syntactical cyclicity to adequate involution-evolution, adaptation-integration, extraversion-introversion of their step-by-step forming in time. CARDINAL PSYCHODIAGNOSTICS (CaPsyD) is the method of investigation of causality of subject and object relations, diagnostics, prognostication and determination of algorithm of their most efficient forming with overcoming of the objective predispositions and distortions in subject’s development (a man, stuff, society, humanity). ACHMEOLOGICAL PSYCHOFUTURING is the method of investigation of cyclisity of stage forming of psycholsystem relations on the basis of dynamics of changing of system determinants and a subject’s determinants and also the determination of tension or insufficiency points as misbalancing of process of subject development of system relations. 2.INTEGRAL AND CARDINAL EDUCATION as continuons complete person`s development on the basis of public selfmanagement. 3.UNIVERSAL MANAGEMENT of social, economic and other processes, the model of success as the algorithm of adoption of decision. 4.SOCIAL SYSTEMOLOGY and public selfmanagement system (further is PSSM) including enterpreise, social (educational, sanitation, cultural) and territorial selfmanagement. 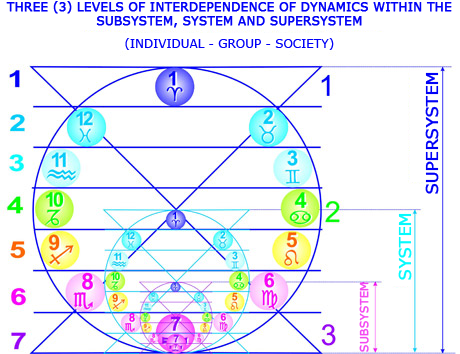 The COLLECTIVE STRATEGY is the method of investigation of synergetic and hierarchical intersubject system relations. It allows to establish the algorithm of unity of people, their collective co-creation and individual development at the mental psychosystem modelling of projected life systems and activities. 5.CARDINAL PSYCHOTHERAPY, causal and system prophylaxis is and early diagnostics of diseases, healthy lifestyle system as the creation of the models of complex development of health both of a man and society. THE PROGRAM OF TRAININGS IN INTECED. The unique methodology based on the model of success is in the Program of trainings. 1. The making of creative groups by increasing the initiative of its member. Purpose: to form the qualities necessary for forming the stuff of creative and initiative workers. 2.The modeling of forming of creative thinking system. Purpose: 1) to form the system of creative style of thinking of workers; 2) to rise the level of concentration on the elements of algorithm of modeling; 3) to reach the accuracy and coordination of collective activity on the basis of mutual help, mutual addition and mutual responsibility. 3. The questionnaire allowing to estimate and help in forming of qualities of responsibility, discipline, aspiration and stability. Purpose: to form the qualities necessary for introduction of collective strategy at an enterprise or institution. 4.The algorithm of adoption of efficient decision. Purpose: to form a worker’s ability to adopt efficient decisions independently in any conditions of activities at an enterprise. 5.The technology of mental psychosystem modeling. The model of success. Purpose: to form the optimal algorithm of activity as the model of success. This training stimulates the worker to realize the purposeful orientation of activities. 6.Mental distinguishing: this training allows to estimate really one’s possibilities as of individuality and also to overcome the illusions preventing in one’s further development. Thus the system of trainings helps to realize and to apple the universal regularities of development in different spheres of activities and in everyday life. 1. The increase in efficiency of social and economic system functioning and safety of resources. 2. Creation of stuffs quickly adapting to the innovations. Rise of social and production activity, of responsibility of people engaged in various spheres of social activities. 3. Opening of creative abilities, formation of positive attitude to the evolutionary processes of social development. Sanitation of population on the basis of application of HLS theory and methods. 4. Optimization of needs of population, reorientation of social interests to the intensive direction of development. 5. Lowering of tension in society, weakening polarization of heterogeneous interests and rise of political stability. 6.The levels of PSMS are determined. It provides the maximum efficiency of state development and creativity of population. 7.The program of professional perfection and person’s creativity in society has been founded.